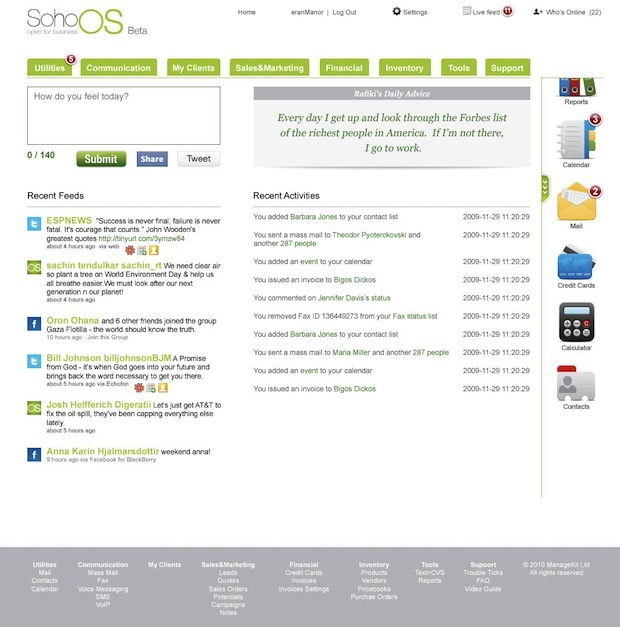 A couple of months ago we first covered Soho OS, describing its offering as a soup-to-nuts “hybrid of Quicken + Zoho + SalesForce”. Today, the company is announcing that it has secured $1 million in funding from The Time. This is on top of the $250K the company had raised in its pre-seed round. The company has already begun putting the money to good use. As noted in the initial post, “the interface could certainly use a UX overhaul,” and it got one, and a new logo to boot. With a new color scheme, layout and consolidation, the new interface’s look & feel is softer, more pleasant on the eye, and more convenient to use. A definite improvement on the interface we previously reviewed. 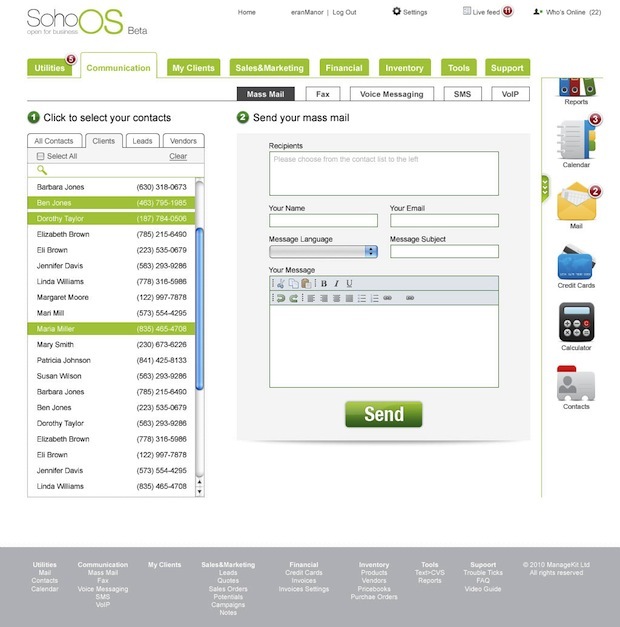 Soho OS also beefed up communications features with video chat, SMS, VOIP, voice messaging, as well as improved conference calling and broadcast emails. I really like where Soho OS is going but would like to see them charging a tiered service fee rather than rely exclusively on cutting commissions off their 3rd party integrated services. There’s no shame in charging your customers kids, especially if you provide them with clear value. Tattoo that please.